"Imagine life as a game in which you are juggling five balls in the air. You name them - Work, Family, Health. Friends and Spirit - and you're keeping all of these in the air. You'll soon understand that work is a rubber ball. If you drop it, it will bounce back. But the other four balls- Family,Health,Friends and Spirit - are made of glass. If you drop one of these, they will be irrevocably scuffed,marked,nicked, damaged or even shattered. They will never be the same. You must understand that and strive for it. Work efficiently during the office hours and leave on time. Give the required time to your family, friends and have proper rest. Value has a value only if it's value is valued." Life today is very different from the 1980's. Technology has made the world a much smaller place. Communicaton methods are constantly evolving and a vast amount of people post their every movement and interaction on some form of social media to share with the world. But that in itself is a whole other conversation! Work is also a much more fluid environment nowadays. My colleagues are spread over 4 different time zones , with customers and suppliers in numerous others. But with the range of devices now available we are practically contactable 24/7 almost anywhere in the world. So I ask the question: "Are we truly ever off the clock?" Don't get me wrong, I think it's amazing that we can be at home, out for a walk, having dinner with friends or doing any number of things and can solve an issue or respond to a question from someone who needs an answer during their working day, and vice versa. Without a doubt this makes the work flow quicker and easier, but it also blurs the lines of what Bryan Dyson was trying to get across. In his speech, there is seemingly a clear divide between the 5 elements we're all constantly struggling to juggle. In today's reality, they all intermingle, blend together and managing your time ensuring each one is kept in the air is one of modern life's biggest challenges. Using Flexitime within your organisation can assist employee's with managing this quandary. Having freedom to choose your start and end time to your office day can help you to deal with the other things that life throws at you from time to time. From the employers point of view, knowing that your employee is monitoring their hours to ensure they work the contracted amount of time over a week or month gives you some peace of mind too. It doesn't neccessarily cover the extra little segments of time that get spent on those late night emails or phone calls but it does offer more balance than the traditional office hours. In essence, having flexibility around the demands of work enables a person to better juggle all the balls they have in the air at any given time and that, I believe, encapsulates the message that Bryan Dyson was conveying in his 30 second speech. In a workforce that is becoming increasingly flexible, more and more employees have the option to work from home or from the road. These employees still need to be able to clock in and clock out, request holidays and manage their Time and Attendance. In companies where employees enjoy benefits such as flexible working, they must have access to a mobile online workforce management system. 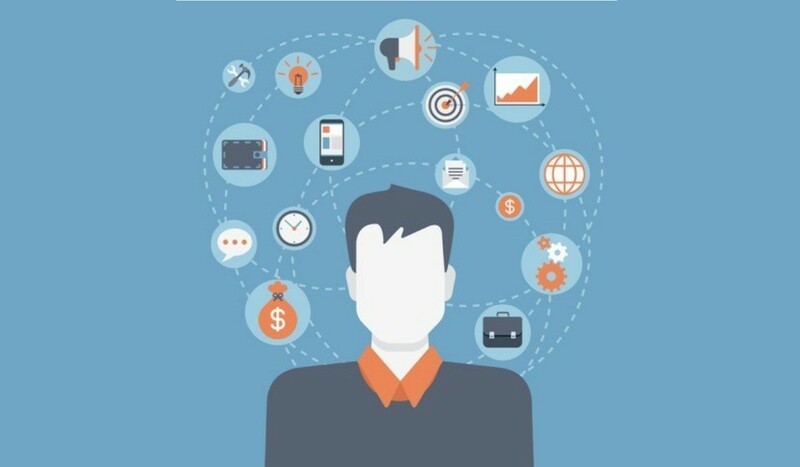 Mobile Workorce Management provides a number of benefits to both employees and managers. Manage Time and Attendance from the comfort of your phone. Managers who utilise a Mobile Workforce Management Solution can view and manage their employee Time and Attendance on the move and complete tasks such as reviewing Holiday Requests and adjusting Rosters. For employees who work remotely, work flexible hours, or who are often on the road for work recording hours worked can pose quite a challenge. These employees cannot physically clock in in their office, and must rely on other means to record when they start and end their shift.A mobile Time & Attendance App solves this problem, allowing employees to clock in and out from their phone. By placing a mobile Human Resources tool in the hands of your employee you are enabling them to access real time human resources information, thus eliminating the number of enquiries your HR department must deal with. The Softworks App is one of the most effective and user friendly Workforce Management Apps available. When Softworks Employee Self service App, employees can view their clocking history, request leave and check rosters. The Softworks Mobile Workforce Management App is highly user centric and intuitive and is quickly being adopted as the industry standard in Mobile Workforce Management. For more information on our Mobile Workforce App and to see it in action for yourself, Request a Demo here today. The Importance of Employee Leave. July and August are the most popular times of the year for employees to take their annual leave. There are typically less active projects and a lighter workload during this period, making it the ideal opportunity to get away for a while. While some employees may take a day off here or there, it is still important to take an extended period of time off work. Employees benefit psychologically and emotionally from annual leave, and enjoy a boost in enthusiasm and productivity when they return. Let’s take a closer look at the benefits that result from annual leave and why it is so important. 1. Turning off your email. It is widely believed that constantly checking your email leads to an increase in stress levels. While some managers might not be able to avoid their email altogether, to fully benefit from your holiday set your out of office message before you leave. Take it one step further and don’t even think about checking your email on your phone. Unless you’re expecting an important message it can wait until you get back. The work life balance is a tough one to achieve sometimes. We all get caught up in our work at some stage or another and can neglect other areas of our lives. Getting away from your desk for a week or two with your family or loved ones will increase your happiness and remind you that there is more to life than work. The biggest benefit of annual leave is the positive effect it has on the employee mindset. An employee returning from holidays will have a fresh outlook and attitude and will be ready to perform to the best of their ability. A business can only prosper from having satisfied and motivated employees. Employees who are happy and productive are a huge asset to any company. And while annual leave is limited, Flexible Working is not. Flexible Working is unique in that it allows employees to achieve greater work life balance which in turn makes them more productive workers. To find out more about flexible working from Softworks click here. Softworks UK has won the contract to provide the Carbon Disclosure Project with eRostering, Absence Management and Time & Attendance Solutions. 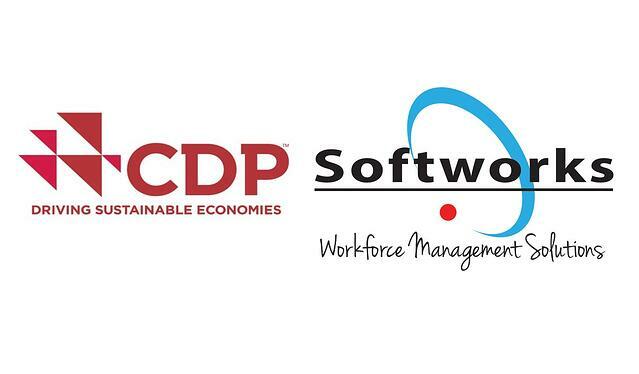 CDP Worldwide, Headquartered in London will use Softworks Time & Attendance Solutions for 140 staff across 6 departments. Following a search process, Softworks was awarded the contract to provide their solution against competition from within the United Kingdom. Softworks Solutions are already used by many other not for profit companies including: Radius Housing, Focus Ireland, Cork Association for Autism, Blind Veterans UK and the Lauralynn Childrens Home to name but a few. CDP Worldwide particularly liked Softworks eRostering solutions which allows employees to check shifts with simplicity and ease. CDP is planning to expand the implementation of Softworks to its wider European operations in the future. The Hospitality Industry at the best of times has a lot of moving parts, and at the worst of times is organized chaos. Managers are constantly on the lookout for new methods of ensuring their Hotel or Restaurant runs as smoothly as possible. For any establishment to perform well, it depends on the ouput of its employees. And what better way to efficiently manage employees than with Workforce Management Solutions. There are several key areas of employee management that benefit greatly from the implementation of Workforce Management Solutions. Rostering in the Hospitality Industry depends largely on a combination of forecasting guest demand and guesswork. With employee scheduling solutions, hospitality managers can roster employees with flexibility in both their hours and departments they work in. Split shifts are very common in the Hospitality Industry, and are no longer a headache when using eRostering. Scheduling solutions never forget and will automatically schedule an increase in staff levels for typically busy times. Planned and unplanned absences can throw rosters out of whack. Being short staffed can put even more stress on already stretched resources and employees. With absence management solutions for the Hospitality Industry, managers can draft in replacement staff or have additional staff on standby to replace a sick colleague. Absence management solutions are particularly effective for preventing losses as a result of not having enough staff on the floor. As with all industries, hospitality employers must comply with the Working Time Directive on the maximum amount of hours an employee can work in one week. Time & Attendance solutions assist employers in the Hospitality Industry to track the working hours and breaks of their employees. Employers who do not implement compliance procedures for maximum hours are opening themselves up to fines and sanctions. As you can see there are numerous benefits to introducing Workforce Management Solutions in the Hospitality Industry. Along with improving employee output and efficiency, employers can avoid the situation of being short staffed or over working employees and the negative connotations of both scenarios. Find out about the best workforce management solution for Hospitality here, and try a live Demo of Softworks. Overstressed at Work? Softworks can help! 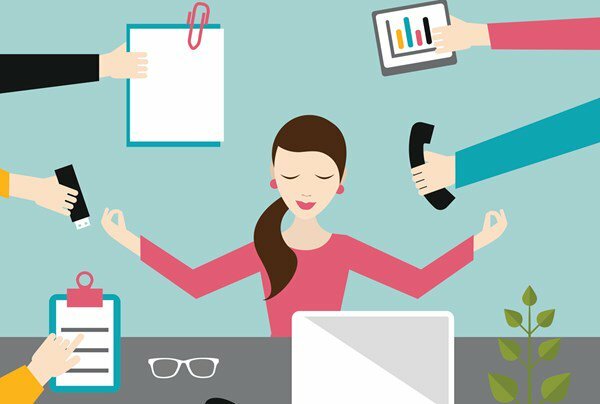 Check out our Top Tips to reduce the stress you feel at work. The Modern workplace is fast paced by nature as demands grow and resources seem to shrink. We live in a society where being stressed at work is considered relatively normal. Most working adults find it very difficult to maintain a sustainable work life balance, juggling their job with family, friends and other activities. Increased stress in our jobs leads to a decrease in productivity. Along with this decrease in output, workplace stress can lead to other complications in your life. Change your approach to work. Break your tasks down to a manageable size .If you are given a particularly large task at work it can often seem daunting. Breaking this task down into smaller parts to be tackled one at a time will make the task more approachable and will reduce the stress you feel. Visualising yourself completing the task successfully can also help to reduce your stress. Get some exercise before or during work. Exercise has been extensively proven as a bona-fide stress buster. Indulge in a pre-breakfast run or a post lunch walk and release some happy hormones to fight off the stress building up from work. Getting away from your desk will help reset your mind and refocus you when you return. If you feel like you are being asked to do too much, don’t be afraid to speak up. Your boss will respond to you much better if you admit that you are a bit out of your depth rather than doing a poor job. It also demonstrates that you are responsible and a good team player. Don’t let the stress build up to a point where it feels like it’s going to overflow. 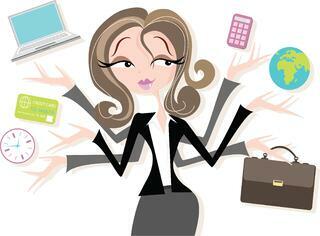 Flexible working is the perfect way to beat work induced stress. Build up flexitime when you feel up to it and then use it at will when you feel like you need to get out of work a little bit early. Flexible working arrangements benefits both employers and employees, allowing for greater output and productivity. To find out more about Flexible Working Solutions from Softworks and how they could help you bust the office stress then download our free whitpaper here. Don’t just take our word for it though. Book a Demo of our Solutions here and see for yourself how we can help your company increase output and productivity. Healthcare providers in Ireland face a number of administrative challenges on a daily basis. In particular, Hospitals, Nursing Homes and specialist units must overcome complex rostering needs to manage various levels and grades of staff performing a multitude of tasks and duties. On any given day, healthcare providers will require rostering for Doctors, Nurses, Support staff and ancillary staff. Increased effectiveness of time management. Improved employee satisfaction with allocation of resources. Improved access to and visibility of employee schedule data. eRostering and Scheduling Solutions are also hugely beneficial to Healthcare providers in aiding them to maintain their compliance and patient safety standards. Additionally, healthcare providers will benefit hugely from the integration with payroll and HR systems that is possible with most eRostering and Scheduling solutions. Compliance: eRostering enables Healthcare administrators to ensure that they remain fully compliant with the regulations of the European Working Time Directive. Patient Safety: Ensure that healthcare professionals are fit for practice by limiting their hours to a safe amount per week and schedule regular rest periods. Softworks is the leading provider of Rostering and Scheduling solutions to healthcare establishments in Ireland. Softworks has successfully implemented scheduling solutions in several of Irelands leading and flagship hospitals. Hospitals using Softworks Scheduling solutions have experienced the full range of benefits of our solutions, including those listed above. But don’t just take our word for it. Find out here how Beaumont Hospital introduced Time & Attendance and Scheduling. The Bons Secours Health System also enjoy the many benefits of Softworks solutions. Read about those benefits in our case study. New Customer Announcement - Softworks wins Halifax International Airport contract to provide Time & Attendance Solutions. Softworks will provide Halifax International Airport with workforce management solutions for over 200 employees. Following the tendering process, Softworks was awarded the contract to provide their solutions against competition from within Canada and the US. Softworks Solutions are already used by other transport agencies including: Dublin Airport Authority, Shannon Airport and Dublin Bus, to name but a few. Halifax International Airport particularly liked Softworks Employee Self Service solutions which allows employees to record their own time & attendance, check work schedules and even to book absences and holidays, all via their mobile app. 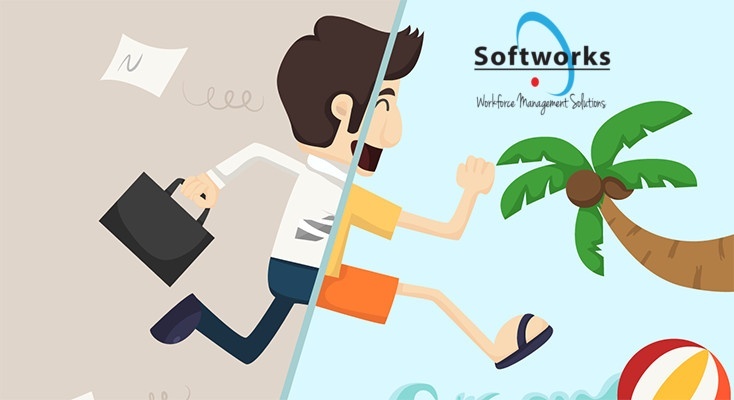 One of the most attractive features of Softworks Employee Self Service is that it increases the efficiency of Human Resources, Payroll and Operations staff by reducing the number of queries coming from employees. 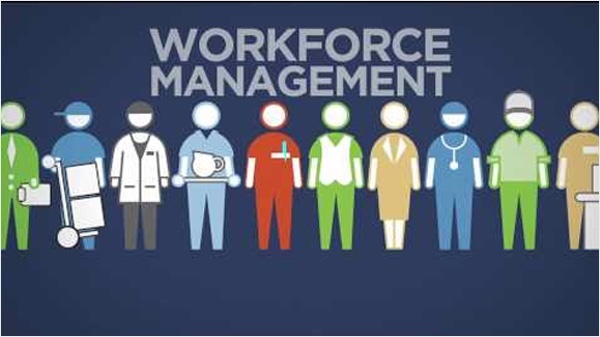 Workforce management refers to the system of processes involved in the daily organisation and operation of employees in a working environment. In any organisation that has multiple departments with multiple employees there is going to be a certain amount of difficulty and complexity in the management of these employees. Some of most common challenges in workforce management include:Scheduling and rostering, Time & Attendance Tracking, Managing Absences and employee self-service options. The main issues surrounding tracking employee time and attendance in any organisation typically result from the tracking being paper based, with employees manually signing in and out. Paper based time and attendance tracking is very open to innacuracies and dishonesty from employees. Within any company there can be several different shift patterns requiring employees to be scheduled for different parts of the day. Staff levels can also be dependent on projected demand during busy or quiet periods. Paper based rostering is becoming increasingly inefficient in the modern workplace. Planned and unplanned absences can both test a business. Unplanned absences can place unnceccesary strain on business due to the extra costs of covering the absence and the losses incurred while the absent employee is being replaced. Planned absences are simpler to deal with but will still present obstacles for a company. The increasing demand from employees for access to their time & attendance information and data is presenting a challenge for employers who still store this data in paper format. The requirement for transparency around employee data is difficult to comply with for employers who do not have this information stored digitally. Chances are, employees are going to want to take annual leave during the summer months when the weather is fine. Demand for time off mid year is going to be very high. Unfortunatley it will not be possible to accomodate everyone's holiday requests for the same time and it is often neccessary to stagger these requests to ensure that the company still functions fully. To successfully compete in the modern business environment it is vital that companies implement a workforce management system to help them to manage and optimise employee output and performance. Workforce management solutions such as those provided by Softworks can assist companies to drive efficiency, reduce costs and ultimately improve business performance. But don't just take our word for it! Book a live Demo here and see for yourself! Softworks has been awarded the contract to provide their market leading Time & Attendance,eRostering and Absence Management Solutions to Havencare Supported Living and Residential Care in Plymouth, United Kingdom. Softworks will provide Havencare with workforce management solutions for their 220 employees across several facilities. Softworks Solutions are already used by many other healthcare and assisted living facilities across the UK and Ireland including Newbrook Nursing Home, The Bons Secours Health System, University Hospitals of Bristol NHS Trust and the Fermoy Community Hospital to name but a few. Havencare particularly liked Softworks Employee Self Service Solutions which allow employees to record their own time & attendance, check work schedules and even to book absences and holidays, all via their mobile app. One of the most attractive features of Softworks Employee Self Service is that it increases the efficiency of Human Resources, Payroll and Operations staff by reducing the number of queries coming from employees. Softworks are looking forward to working closely with the team at Havencare as they reap the benefits of our Workforce Management Solutions. Find out more about our workforce management solutions. Try Softworks for yourself and get a Live Demo of our market leading solutions.